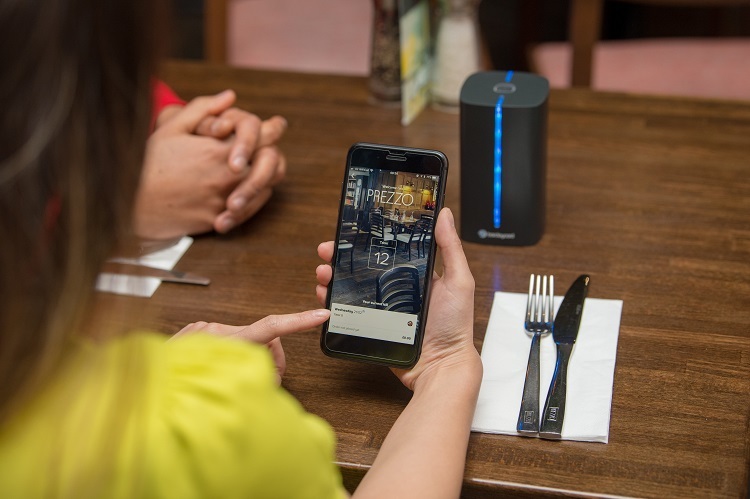 Barclaycard has developed ‘Dine & Dash’, a new solution to bypass the traditional bill-paying process in restaurants, which will be unveiled with a consumer trial at high-street chain Prezzo. 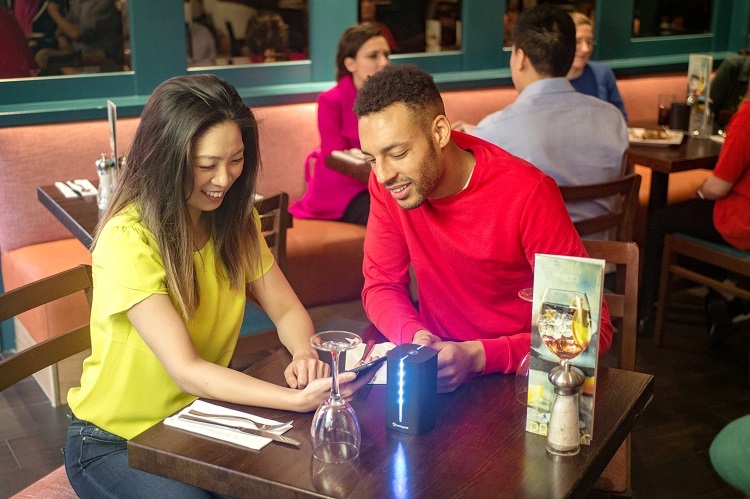 In a bid to make life easier for staff and customers alike, servers no longer need to deliver the tab or handle transactions at the table – guests can simply walk out after eating. This innovation launches as the restaurant industry calls for technological solutions to continually improve the dining experience. New research from Barclaycard, a pioneer in innovations that make payments quicker and easier for both consumers and merchants, has found that 95 per cent of restauranteurs would prefer their staff to focus on delivering good service, rather than spending time on taking payment. Restaurant owners are looking for innovations that will make settling-up easier for diners, especially as the research reveals six in ten (60 per cent) restauranteurs have seen customers leave without paying. Against this backdrop, it’s not surprising that 90 per cent of restaurant owners are interested in seeing new technology improve ways to pay. In a challenging industry environment where eateries need to differentiate any way they can, two in three (67 per cent) also believe that paying ‘invisibly’ – through an app in which payment details are loaded once and used for repeat purchasing – rather than physically, would improve customer satisfaction. This is in line with evolving consumer expectations, as four in 10 diners (38 per cent) say they want to avoid waiting for the bill. 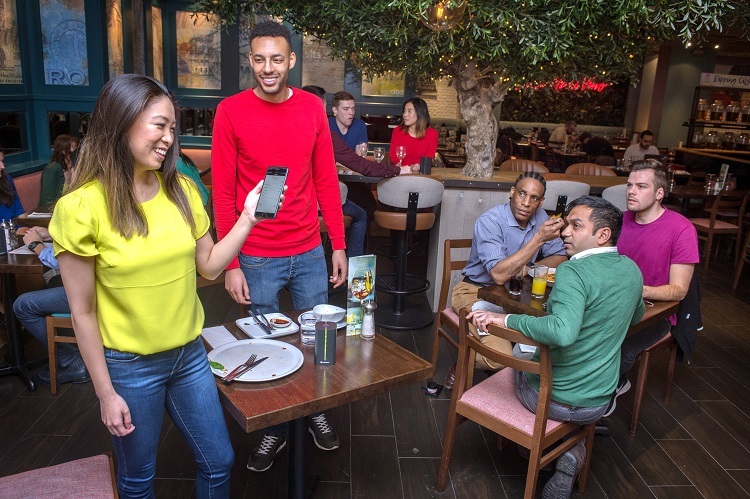 Tap: Customers download the Dine & Dash app and input their payment details – then, upon arriving at the restaurant, tap the Dine & Dash totem on their table with their phone to ‘check-in’. Eat: They order as usual and enjoy their meal. Go: Diners then walk out once they have finished eating. The totem on the table will change colour to show successful payment. The app will allow customers to split the bill, add a tip, apply a discount, and receive a digital receipt. Dine & Dash builds on the ‘invisible payments’ technology Barclaycard trialled in 2017 with Grab + Go. The pilot enabled employees to turn their mobile phones into pocket checkouts to scan and pay for goods in the Barclays’ staff restaurants. “Building on our experience in invisible payments, we wanted to use Dine & Dash to unlock a whole host of benefits for restauranteurs: from freeing staff up to focus on customer service to creating a better dining experience that increases loyalty to improving table turnover time – leading to higher revenues.